Do you love your Nortel network? We do too! It seems the only constant is change for Nortel Networks and the acquisition by Avaya is just one more change – and hopefully the last – for all of us loyal Nortel folks. More and more, we hear from our Nortel customers the need for continued support on the Nortel hardware they’ve invested so much time and money into. The good news is, we can help! Baystack, Nortel, Avaya – We have it all! At Network Craze, we can help you support all of your Nortel voice and data products – from legacy Baystack 450s to current Avaya ERS switches, and from Nortel 6400 series phones to the 1140e’s – we have it all stocked and ready to ship. And we are not just another vendor selling refurbished Nortel hardware. All of our pre-owned (and new) Nortel/Avaya products ship with an industry leading Advanced Replacement Lifetime Warranty and savings of up to 80% off Nortel/Avaya list prices. Help, no one supports Nortel anymore! Well, we do! Support doesn’t mean just shipping product. 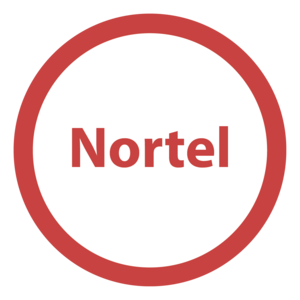 We offer continued Nortel product support, an advanced replacement Lifetime Warranty, as well as expert sales and support teams to help assist you in any way. Not to mention, we have in-house Nortel/Avaya engineers ready to help you troubleshoot your hardware failures. If that’s not enough, we also offer next business day and 4-hour hardware replacement on legacy and current Nortel/Avaya hardware through our 3rd party maintenance program called ProCare. Looking to upgrade soon? Not a problem. We offer flexible contract lengths so if you already have a migration path in place, you are not locked into a lengthy contract. If you have decided that Nortel/Avaya hardware no longer fits the needs of your business, let us know. We are always looking to buy back Nortel/Avaya hardware to help support our customers who are not ready to make the switch yet. Want to discuss your current Nortel/Avaya network with us? Call us anytime, we’re ready to help! The Nortel equipment I bought from Network Craze works great! I saved money by deciding on refurbished and they had everything I needed in stock. I was able to keep my core and replace my blades, even though they were older models.